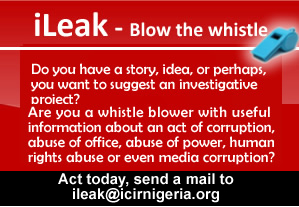 INTRODUCTION: It has become a notorious fact that despite efforts by the Government, corruption remains endemic in Nigeria. It has eaten into the fabric of the society. It has indeed become a National Security issue. If this menace is not tackled effectively and comprehensively, it will eventually destroy our nation. A NATIONAL CONSENSUS – An Agreement by the people to build a just and egalitarian society. A CULTURE WHICH ABHORS CHEATING AND INJUSTICE – A deep rooted and conscious implantation of a way of life where the majority of people in society condemn and abhor cheating, injustice and other anti-social behaviour or condemnable acts. A STABLE INFRASTRUCTURE – which reduces shortages in access to social and public institutions and amenities and provides standard facilities and social amenities for the generality of the people. STRONG COERCIVE STATE INSTITUTIONS – A strong, virile and independent Judiciary to interpret the Law supported by a strong resolute and fair minded Executive to enforce the law and a virile Legislature to pass necessary Legislation to be implemented. A substantial study of our situation reveal the absence of these four important elements in varying degrees ranging from the normal, the seriously abnormal, the absurd, the downrightly disgraceful and embarrassing. Every right thinking member of our society knows that there is the disgraceful absence of National Consensus on the need to tackle the menace of corruption in Nigeria. The deep inadequacies, shortages of amenities, the near collapse and failure of State Institutions have provided a veritable breeding ground for corruption. These systemic failures have produced weak institutions of Government which cannot in our present situation sustain any serious assault on corruption because these institutions are largely produced from a society which lacks a consensus on the subject and the necessary culture which naturally abhors corruption and cheating. It is a common saying that “you cannot plant yam and reap maize”. It has therefore become a compelling necessity to lay down an all-encompassing strategy to tackle the menace. The Cankerworm of corruption has eaten so deep into the fabric of our Nation that identifying, investigating and arraigning corrupt persons in court though very useful, cannot single-handedly solve the problem. We require an all-encompassing strategy: A humanising Pedagogy that will strike at the root of the problem. First, the President should publicly address the Nation exclusively on the menace of corruption and declare its elimination as a compelling necessity for the progress of the Nation. Second, the President should declare a week of National Prayers which will entail fasting and Prayers by MUSLIMS, CHRISTIANS and adherents of all other faiths, seeking the face of God to help the Nation TURN AWAY from corruption and other Vices. The need for this Therapy is borne out of the fact that there is overt religiousity in Nigeria but sadly the Religious Character is largely lacking. There is a need to sensitise and allow the people to know that being religious is not the end. The need to cultivate a character that will match the tenets of our religious beliefs is an imperative ingredient for our Salvation. Third, the National Orientation Agency, the Public Complaints Commission and other relevant sensitisation bodies should be re-organised. They may all be merged under a NATIONAL ETHICS BUREAU (or by whatever name called) to plan and implement a Comprehensive National Campaign to sensitise the people and forge a Paradigm shift in our way of thinking and orientation which pre-disposes the majority to dishonesty, unpatriotic conducts and other vices sabotaging our National Vision and inhibiting our Progress. Fourth, Simultaneously with steps 1, 2 and 3 a NATIONAL REFORMATION AND ATONEMENT COMMISSION should be set up without delay. The Commission will have a trustworthy Nigerian as Chairman and an Executive Secretary and also comprise of other worthy Nigerians working in conjunction with EFCC and ICPC and/or other relevant Security Organisations. All Public servants at a time to be determined, preferably since Independence would at their own discretion, be expected to appear before the Commission within six to nine months to willingly declare their assets, confess whatever unjust enrichment or corruption they have been involved in and offer atonement by way of payment of money or surrender of ill-gotten Properties, investments or Wealth to the Nigerian State. The Commission will work with Security Agencies to ascertain and verify the Claims and work out an orderly surrender of ill-gotten wealth. All persons who have not held Public offices but have participated in any schemes of corrupt enrichment will also be encouraged to appear before the Commission to negotiate and surrender ill-gotten wealth. All those who appear before the Commission to negotiate and surrender ill-gotten wealth will be granted immunity from prosecution. It is necessary to sponsor legislation and work out the logistics to support this unprecedented therapy. The four steps above will be driven and co-ordinated directly by the Presidency and/or a newly established Office of the National Domestic Adviser to be appointed by the President. Within the six (6) to nine (9) months, the fifth step is that all machineries of the Judicial System, all relevant laws, all coercive agencies of Power like the Police, Prisons etc. will be sensitised, reformed and repositioned for effective and flawless administration of Justice. At the conclusion of the work of the NATIONAL REFORMATION AND ATONEMENT COMMISSION, the Sixth step will be for the full weight of the Law to resume its course. Whoever is caught in corruption or any Criminal activities – AT WHATEVER PERIOD WHATSOEVER SINCE INDEPENDENCE except those ISSUES that have been settled through the Commission will be investigated and charged to Court and the full weight of the Law will be brought to bear. In addition to steps Five and Six, Therapies 1, 2 and 3 will continue unabated. This is because it is important to mount ceaseless campaign of sensitisation in order to establish the new culture required to fight the scourge of corruption in our beloved Country. The disposition to always wait for those against whom petitions will be lodged at the EFCC or other Security agencies, investigate and utilise the Judicial process to deal with them cannot work as our collective experience as a nation have shown so eloquently. The Therapies above are by no means exhaustive. They may be fine-tuned and re-focused to meet the compelling exigencies. However, they are compelling and unavoidable in our present circumstances. It is hoped that once these measures are taken, a REVOLUTIONARY TURNING POINT which Nigerians urgently desire will begin in earnest. Permit me to state unequivocally that the foundation of a just and egalitarian Society which will guarantee our Progress as a Nation cannot be built and sustained unless these compelling and far-reaching measures are put in place accordingly. ‘BONAJO BADEJO, S.A.N., A Senior Advocate of Nigeria and Public Commentator writes from Lagos, Nigeria.